Real Madrid manager Santiago Solari is hopeful Karim Benzema can return to action for Los Blancos when they take on Sevilla on Saturday. Solari spoke after Real lost 1-0 to Leganes on Wednesday in the Copa del Rey, and he believes his side are missing the Frenchman's presence up front as he recovers from a broken finger. Per Marca's J.L. Calderon, he said: "We paid in this game for not having a specific reference in attack. We are missing that. We need Benzema against Sevilla because he is that reference for us and we hope to have him back for that game." 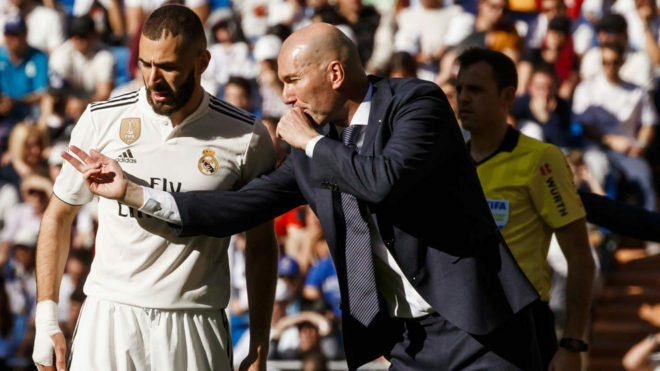 Benzema was forced off at half-time in Madrid's 2-1 win over Real Betis on Sunday and was absent for the trip to Leganes. Though Los Blancos progressed to the next round in spite of the loss, having won the first leg 3-0, it was the fourth defeat they've suffered since Solari took charge on October 29. Isco now at false-nine, it looks like, with Vinicius back on the left wing. Ceballos alongside Casemiro and Valverde in midfield three. 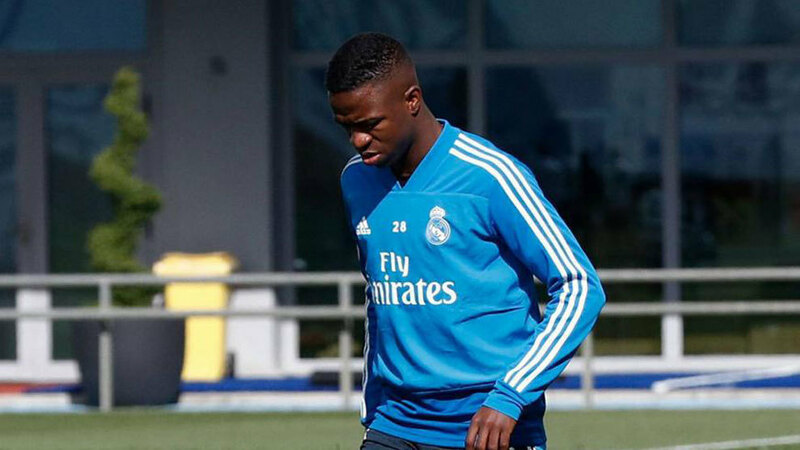 No Bale or Mariano in the team to meet crosses -- so naturally we see a lot of Odriozola crosses into outnumbered Vinicius or Isco who are never going to get there. The striker is Real's top scorer this season with 12 goals. His nearest competitor is Gareth Bale on 10, but the Welshman has not played since January 3 because of a calf injury. Only seven of Benzema's goals have come in La Liga, but he remains the team's biggest attacking threat. They can ill afford him to miss their match with Sevilla, who sit above Real in the table courtesy of their superior head-to-head record, having beaten Real 3-0 back in September. If he's unable to play, it could be another difficult afternoon for Solari in the Bernabeu dugout.